Tony Azevedo, 3-time Olympian, leads USA Water Polo to London. We go behind-the-scenes with Tony at the National Team training camp in Thousand Oaks, California. 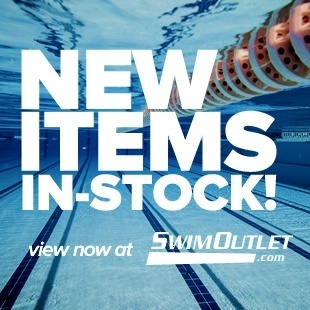 San Jose, CA (April 24, 2012) – Starting in April, SwimOutlet.com, the web’s most popular swim shop, will become the presenting sponsor for a series of news and insider vignettes highlighting swimming’s biggest stars. Gold Medal Minute presented by SwimOutlet.com, being produced by Gold Medal Media and featured on the newly-launched SwimSwam.com, is a series of unique, behind-the-scenes interviews, profiles and reports on the world’s greatest aquatic athletes. Episodes will capture athletes up-close-and-personal as they are rarely seen at the pool, during training or in the moments after their best performances with long-time swimming insider Mel Stewart as host. “Gold Medal Mel” is a three-time Olympic medalist and has reported on swimming since 1996, hosting aquatic events for ABC, NBC, ESPN, TBS, Fox Sports, E! Entertainment News and Yahoo Sports. With vignettes, news and stories appealing to swimmers and non-swimmers alike, each feature in this 30 episode-run captures the personality of the athletes, giving you an “insiders” point of view on their lifestyle and training as they prepare for the Olympic Games in London. Early episodes include pieces with Michael Phelps and Ryan Lochte. Produced by Gold Medal Media’s Tiffany Stewart, Gold Medal Minute presented by SwimOutlet.com will provide fans with over 100 minutes of engaging content. Other stories in the series will include profiles on Tony Azevedo, Water Polo’s Olympic star, and the USA Synchronized National Team, sponsored by SwimOutlet.com. Great piece Mel. Tony’s not only one of the world’s greatest athletes, he’s a real class act. He’s done great things for the sport of water polo both through his play and his character. Thanks, Mike… I was impressed by how smart he is. Probablly shouldn’t be as he is a Stanford grad. From what I learned on deck at the training camp, I think USA Water Polo will be in the hunt to improve on their 08 performance. Mel – does that mean that you’re calling them for gold??? I think Hungary could go down…but didn’t see anything in 2011 to indicate that the US are the ones to take their place. Should at least be a fun tournament – a whole lot of parity this year. Here’s a quick breakdown of the field, if anyone missed it.